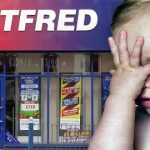 UK-listed bookies William Hill reported an impressive Q3 trading update on Tuesday and, absent any Q4 catastrophes, expect full-year operating profit will be “at the top end of current consensus range.” Group net revenue rose 23% in the 13 weeks ending Sept. 30 while profit rose 89% thanks to a strong second half of the 2014 FIFA World Cup, favorable margins and an online performance that has new CEO James Henderson (pictured) grinning ear-to-ear. 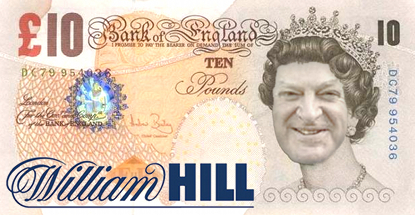 William Hill’s online revenue rose 55% year-on-year, with sports revenue up 100% and gaming up 23%, while online profits rose a hefty 126%. Online represented 33% of Hill’s overall revenue and the Q3 performance stands in stark contrast to last week’s update from the online-only Bwin.party, whose revenue gained a mere 2% over the same period. Sports benefited from an 18% rise in online betting stakes, while win rate rose 2.6 points to 9.4%. Mobile sports betting turnover rose 38%, representing 48% of total sportsbook turnover. In-play turnover rose 35%, easily eclipsing the 6% rise in pre-match turnover. Online gaming revenue rose 23%, driven by a 116% rise in mobile gaming, which represented 31% of overall online gaming (up from 18% last year). Casino accounted for 87% of Hills’ online gaming revenue, with bingo notching 8% and poker adding 5%. The poker vertical was down 20% year-on-year, while bingo rose 4% and casino grew 29%. 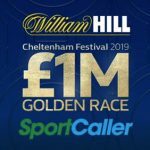 Retail remains Hills’ main moneymaker, accounting for 57% of Q3 revenue despite the closure of 82 betting shops earlier this year (and a further 27 closings expected before 2014 is done). OTC betting handle fell 1% but win rate rose two points, resulting in OTC revenue gaining 10%. 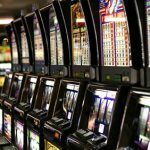 The fixed-odds betting terminals (FOBT) in Hill’s shops saw revenue rise 8%, helping retail profit rise 31%. In Australia, Hills’ revenue rose 14% as a 1.6 margin gain helped offset a 3% decline in sports betting handle. 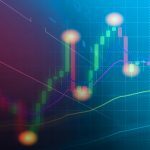 The decreased volume is attributed to having “exited now unprofitable clients following the onset of increased race field fees.” Unique active customer ranks rose 18% while cost per acquisition fell 26%. In Italy, Hills humble-bragged that it’s now the leading online sportsbook with a 14% market share. In Spain, Hills’ share of the sports betting pie rose to 20%. 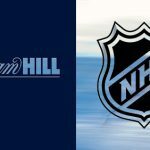 The William Hill US sports betting operations in Nevada reported a 21% rise in handle – mobile grew 88% – and gross win was up 73%. The US division recorded “a small operating profit” versus a small loss in the same period last year. Looking ahead, Hills is bracing for the double-whammy of the new 15% online point-of-consumption tax that takes effect Dec. 1 and the new 25% machine games duty that kicks in March 1, 2015. Numis analysts expect the two-headed terror will cut around £100m from Hills’ revenue in 2015. Hills shares closed out Tuesday virtually unchanged at 363.3p.